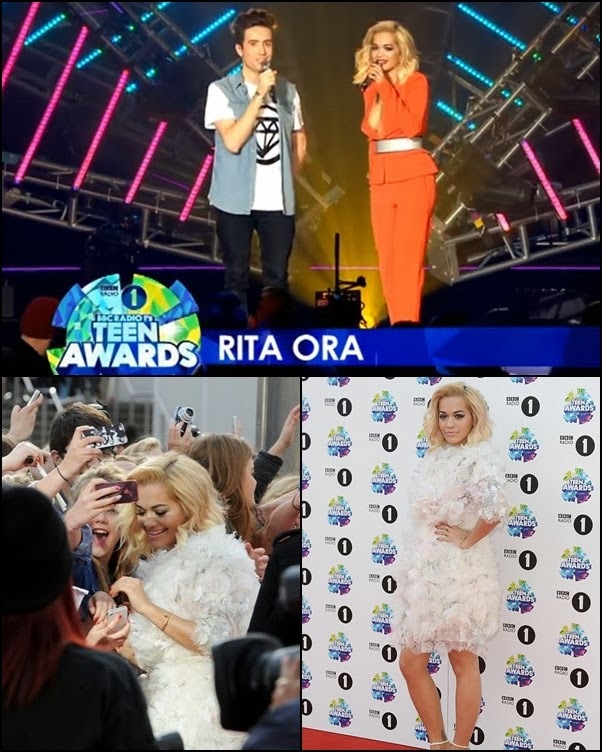 Rita Ora has successfully presented "BBC 1 Teen Awards 2013" that was held yesterday in the "Wembley Arena" in London. She was excellent alongside colleague, Nick Grimshaw and as always she has been very special with her wardrobe. The fans were super excited with her ​​appearance on the red carpet wearing a white fluffy dress "Marchesa", where she was greeted as princess. And then on stage, as in song, and the presentation, Rita was excellent and was met with positive ovations from the audience. "Teen Awards! I spent the best time ever! At first I was nervous, but by the end I didn't want to leave. Congratulations to all the winners ..." Rita wrote on her social network.